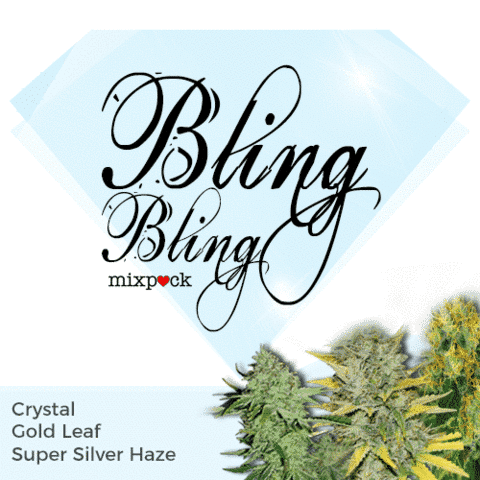 Expect a thick, generous coating of resin and sparkling buds with our Bling Bling mixpack. 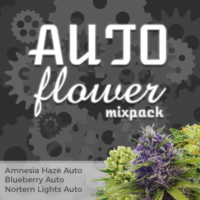 Three superior quality plants with some of the most resin-coated buds available. Heavy crystal formations across much of the lower parts of the plant and trim, makes for great edibles and concentrates. Completely feminized, each seed is guaranteed to germinate, creating a perfect female plant, able to adapt to growing either indoor or outdoor.. Flowering times average 8-9 weeks when grown inside a purpose built, indoor area, where the best harvests can be generated by using the Screen-of-Green technique, or other super-cropping methods. 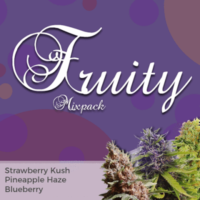 Crystal – Extremely potent strain with approximately 25% THC and high CBD levels. Gold Leaf – Produces tall, fast-flowering plants with a resin coated ‘sugar topping’. Super Silver Haze – An almost pure Sativa, well-known for it’s large glistening buds and generous coating of resin. 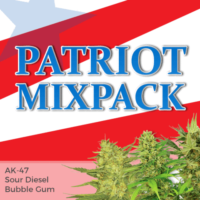 Expect a thick, generous coating of resin and sparkling buds.